Whenever I order a salad at a restaurant and love it, I will try to recreate it at home. The quintessential house salad is one of those that when you find your favorite restaurant version, no other ones compare. That is, until now. While there are several varieties and styles of house salads, I have a favorite recipe that I think creates the ultimate house salad. 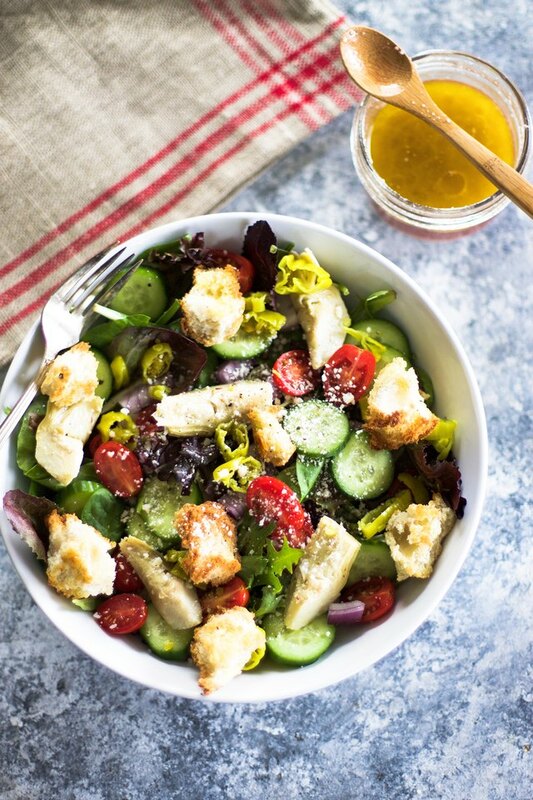 This salad has great texture from the vegetables and flavor from the Parmesan vinaigrette (it's perfect when drizzled on top). 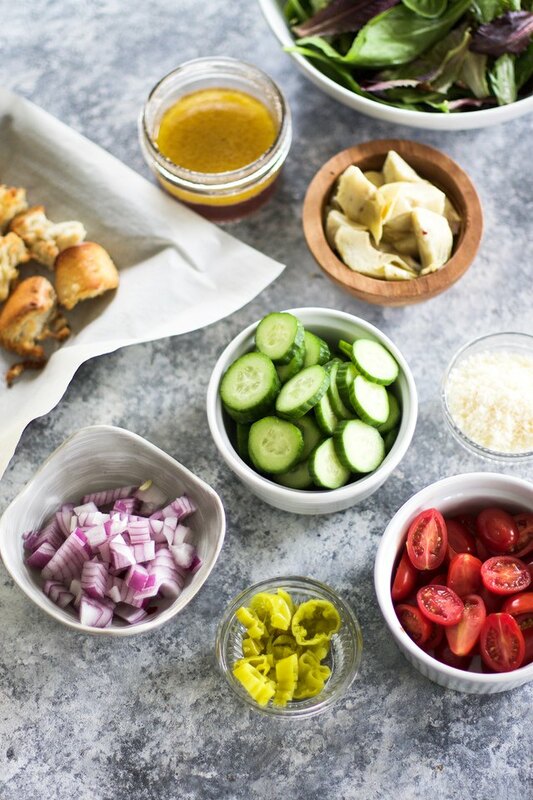 Add this easy and healthy recipe to your weeknight meals and no one will complain about eating their veggies! This recipe makes 2 to 4 salads depending on the size of the salad portion. 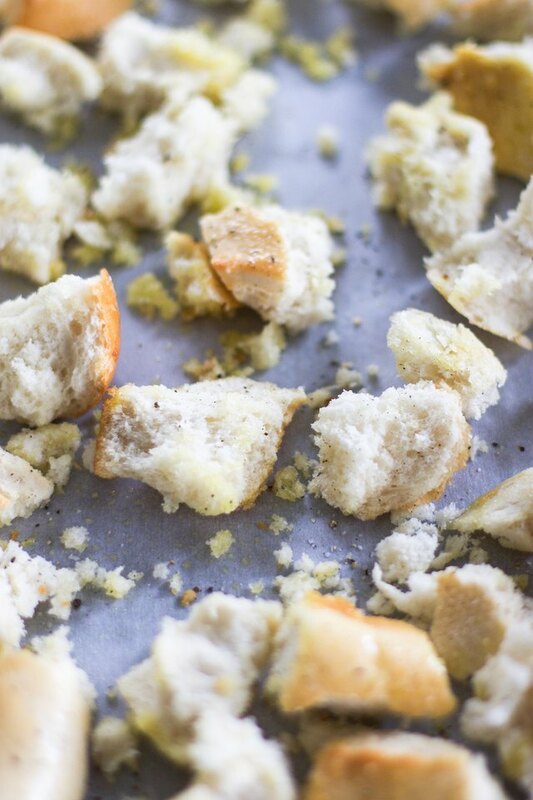 Make the croutons by preheating the oven to 350 degrees Fahrenheit. Drizzle the cubed bread with olive oil and about 1/4 teaspoon of kosher salt and a few cracks of black pepper, and spread out into one single layer onto a parchment lined baking sheet. Bake for 15 minutes or until golden brown. Set aside. 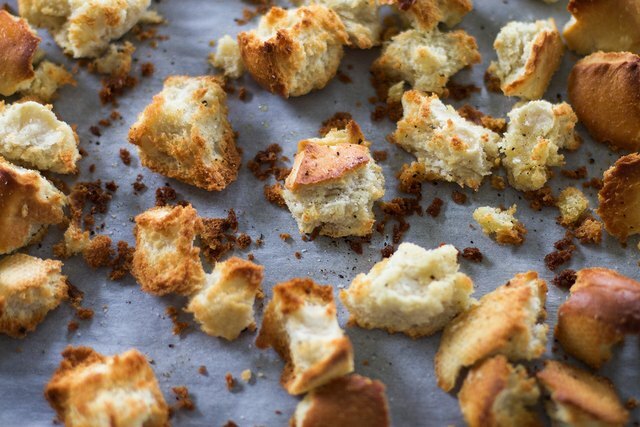 If baking your croutons isn't browning them enough, try setting the oven to broil for the last minute of cooking to get them nice and golden. Set a timer to prevent burning. 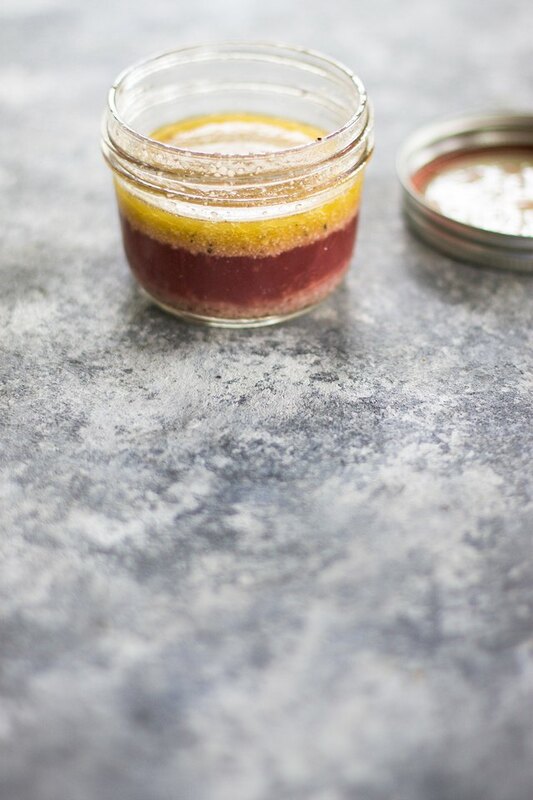 To make the vinaigrette simply combine the vinegar, olive oil, half of the Parmesan cheese, 1/2 teaspoon of salt, and 1/2 teaspoon of black pepper into a mason jar and shake vigorously until well combined. Set aside until ready to use or refrigerate if making in advance. 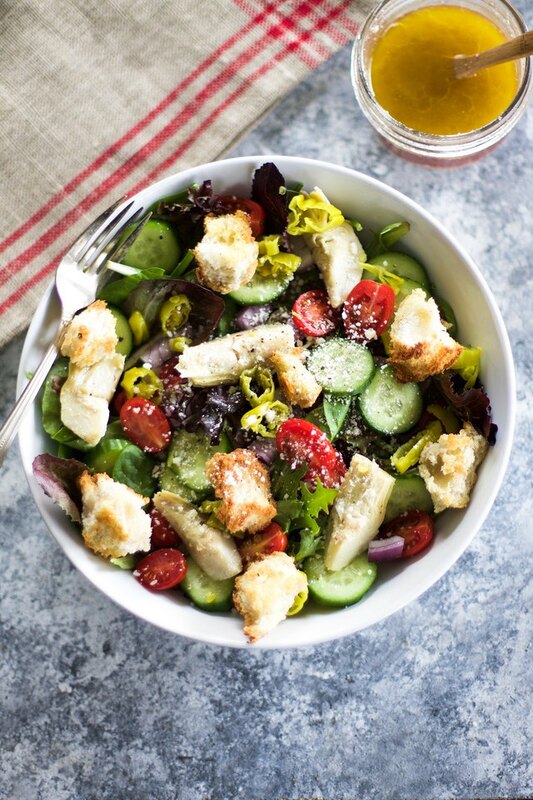 To assemble the salad, place the lettuce mix in the bottom of the bowl and top with the cucumber, tomato, pepperoncinis, artichokes, onion, croutons, and the rest of the Parmesan cheese. Drizzle with vinaigrette immediately before serving. What I love about house salads is that they can be a side dish or you can make them larger and top them with your protein of choice and have a main course. I personally like to have this particular salad with any kind of Italian meal I might be serving or alongside some grilled meat or fish. I am telling you that this salad is one for the books! You and anyone you make it for are going to love it. Who knew a restaurant quality salad could be so easy to make at home? Enjoy!